Whether you are a seasoned gym-goer or a bit of a novice, at LivingWell East Midlands Airport the qualified health and fitness team are on hand to provide you with expert advice and support. It's all part of what they call 'Personalised fitness for life' - helping you achieve your fitness goals with a fitness plan designed around your needs. Workout with PRECOR Fitness equipment and free weights in the air-conditioned gym, or give one of the group exercise classes a go and then de-stress in our steam room and sauna. Revitalise the senses in the bubble spa, then dive in and chill out in our 16-metre pool. Or simply take some well-earned time out to rejuvenate mind and body with an indulgent spa treatment. 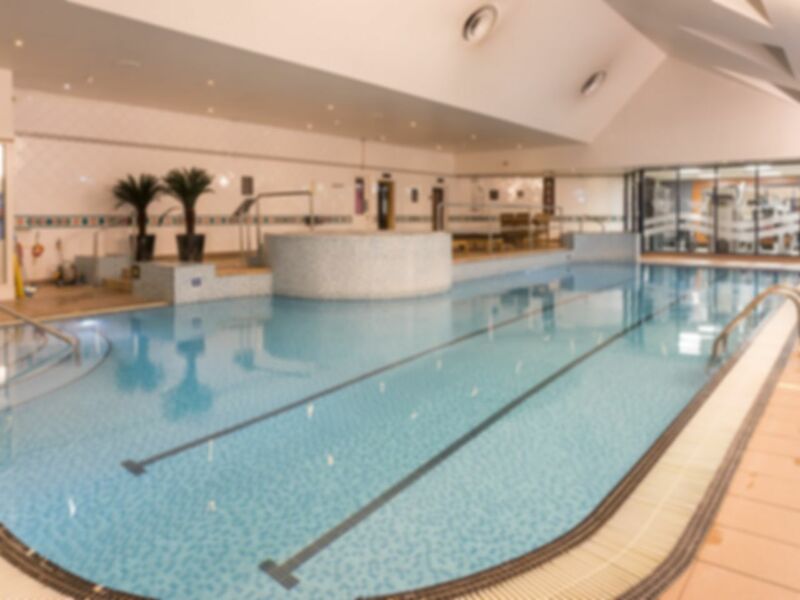 The sauna, steam room and spa pool are the perfect place in which to de-stress and unwind. Beauty facilities that'll make you look as good as you feel and you can take advantage of an exclusive 25% discount in the Hotel restaurant and bar. I'm not really a gym person but I like to swim. I found it very relaxing. Warm, clean and very quiet. Perfect for a relaxing hour. Small gym, spa facilities all working. Very relaxing visit! You wouldn’t go for the gym (two tiny rooms of equipment), but spa area is lovely. Seems to be getting more popular with families at the weekend. Most are respectful, but some treat the pool like Butlins, so consider going in the week if you want guaranteed relaxation.